I was reading the paper this morning and it said that Robert Downey Jr. likes to Google himself, “…I do have that shortcoming. It’s really fun.” So I’m setting up a trap for him, kind of like Ellen did for George Clooney (okay, exactly like Ellen did for George). 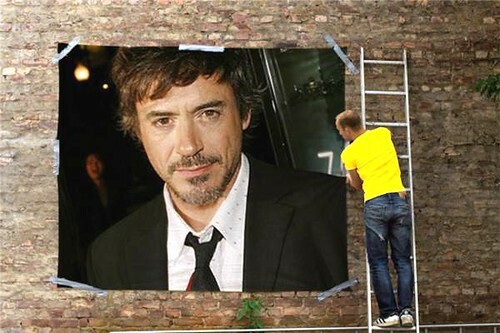 I made the pics of Mr. Downey Jr. at funphotobox.com, a free website with tons of cool templates you can add your own photos to. So click a bunch on this post and leave a comment too even if you don’t like the guy (but how couldn’t you? he ‘s almost as cute as George) so his Google bot will find us! This entry was posted in blogging, clooney, generators, photos and tagged actors, angelina jolie, ellen, george clooney, google, movies, photos, robert downey jr., websites by Lilli Day aka bookbabie. Bookmark the permalink. NOW—get back to that novel. I hope this helps:Robert Downey Jr. ,Robert Downey Jr. ,Robert Downey Jr. ,Robert Downey Jr. ,Robert Downey Jr. ,Robert Downey Jr. ,Robert Downey Jr. , Robert Downey Jr. , Robert Downey Jr. , Robert Downey Jr.
And very clever idea. I hope it brings him to your blog. Robert Downey, Jr., is a fascinating, talented and handsome actor with such a troublesome side. I hope that Robert Downey, Jr. finds your blog. It might be time to start dating again…these Bones reruns on Fox and TNT just aren’t doin’ the job. It’lll be fun if Downey finds this and comments here! I’ve become a fan of your blog and now – a renewed fan of Robert Downey Jr ! He is hot! Nice pictures! Robert Downey Jr. rocks! Well, well, well…he likes to Google himself. I’m afraid that I came back to see your blog because I just love this photo of him. So Mr. Downey, stop by my blog too! I’ll give you my home address, phone number…whatever you want! Robert Downey Jr., who woulda thought? He does look pretty darned good though! You’re not throwing him over for GC are you? hey, I checked out your website today and read your fabulous book excerpts. Wow wow wow! You’ve got some mad skills girl. I also forgot how fabulous your photography is. It was nice to revisit!